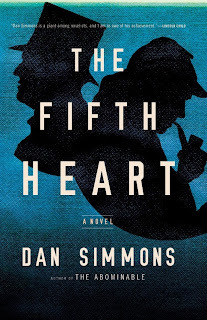 Simmons' The Fifth Heart falls into the niche genre of Sherlock Holmes pastiche, which is itself generally a genre-mixing of historical fiction and Sherlock Holmes mystery, often involving real historical figures or other pre-existing fictional characters. The most famous of this surprisingly voluminous genre is probably Nicholas Meyers' The Seven-Per-Cent Solution (1974), where Holmes and Freud team-up after Holmes' supposed death at Reichenbach Falls. This three year period between the publication of The Final Problem (1891) and The Empty House (1894), referred to as the Great Hiatus, is also the backdrop for Simmons' novel, where Holmes meets Henry James on the bank of the Seine, as both had picked that spot to end their lives. As intriguing as a Henry James/Sherlock Holmes team up may be on its own, there's another oddity about this Holmes pastiche: Sherlock Holmes has deduced that he's a fictional character. Self aware characters are hard to do well, but Simmons' method here is extremely clever. The central conceit of the original Holmes stories is that they are true accounts written by Dr. Watson. Unfortunately, Doyle was never big on fact checking, or even making sure character names and descriptions were consistent across stories. When the location of Watson's war wound shifts from his shoulder to his leg, among other things, Holmes starts down the path that leads him to question his own existence. It is amid this metaphysical backdrop that Holmes and James sail to America to help solve two cases. The first is whether the suicide of Clover Adams, wife of Henry Adams and member of the elite social circle, the Five of Hearts, was actually a murder. The other is to stop an international anarchist conspiracy to incite a world war. James, as a close friend of Henry Adams and the other three surviving members of the five of hearts (John Hay, Lincoln's former secretary, John's wife Clara, and geologist/explorer Clarence King), is Holmes' way in to the Washington social elite. Simmons is an incredible researcher, and creates an amazing atmosphere with his descriptions of D.C. in the gilded age. Most of the characters in this novel are real people, mostly writers and politicians ranging from Theodore Roosevelt to Mark Twain. 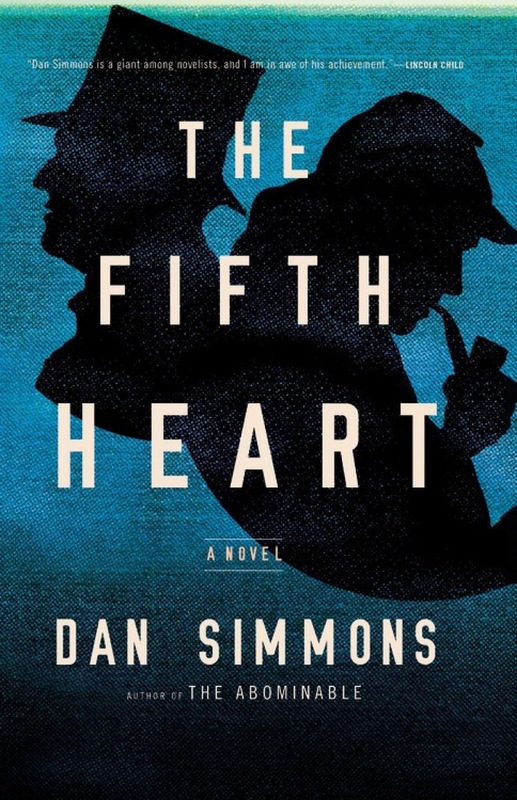 Early on, Simmons sets up a plotline with the narrator directly addressing the reader, suggesting that he has some private source of information for this account, and that the narrator might become a character in and of itself. Unfortunately, Simmons doesn't follow through on this. My feeling reading this novel changed between the first and second halves, and I found myself thinking of my experience reading two of Simmons' earlier novels, Hyperion (1989) and its sequel, The Fall of Hyperion (1990). The mysteries Simmons creates are so engrossing that their solutions always seem like a let-down.